Oooh “the cloud’! “The Cloud”! Are you in the cloud? Have you heard of the cloud? Cloud Cloud Cloud! Love it or hate it, the phrase “the cloud” has likely come up almost weekly at your business. Whether you’re in it and are continually learning and improving within it, or you’re not in it and are constantly talking about the pros and cons of doing so. 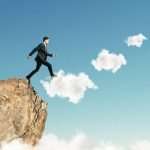 The fact of the matter is, the cloud is the perfect outlet for businesses to improve productivity, but the degree to which this statement is true depends on the business and how much it leverages the cloud. Depending on the cloud solution you’re using, it might have some built-in collaboration features that are great for working with others. Does your file folder look like this? Are you constantly saving and sharing (and emailing?) files and nobody is ever sure who has or is working on the most current version?Some cloud-based word processors allow multiple people to work on the same document in real time, allowing for a more collaborative situation than would be possible otherwise. Some even have instant messaging components built in that give the workers a chance to chat about particular aspects of the work they are doing. Simply put, the cloud gives your organization several resources that all have collaboration tools built into them, many of which enable more effective communication. Does your business want to leverage these solutions for a better, more efficient workflow? ActiveCo Technology Management can help. To learn more, reach out to us at 604.931.3633.